If you sustained injuries in an accident, you may be in pain, worried about how you will pay your bills, and frustrated that the actions of someone else caused you to suffer. You should not have to suffer because of someone else’s actions. A personal injury lawyer may be able to help you recover damages, including medical bills and lost pay, caused by the reckless or negligent behavior of another person. Contact the Law Offices of Anidjar & Levine today at 1-800-747-3733 for a free review of your personal injury case. You have rights; we can help protect them. Even if you are not sure if you have a personal injury case, our legal team can help. Contact the Law Offices of Anidjar & Levine for a free review of your case. We can advise you on your next steps. Call now at 1-800-747-3733. Every personal injury case is different. The amount of compensation you may recover is heavily dependent on who is liable for your injuries and how severe your injuries are. Though we cannot give an accurate estimation of the value of your case, there are certain types of damages we often recover. In most personal injury claims, you can expect to recover the cost of medical treatment you required as a result of the accident. Generally, medical damages include emergency care, doctor’s appointments, hospital stays, medication, surgeries, mobility devices, and the cost of future or on-going care, as required. There are two aspects of lost wages you may be able to claim—current and future lost wages. If you miss work due to your injuries, you can often recover your missing salary in a personal injury claim. In addition, if you are unable to work in the same capacity following your injuries, you may be able to recover lost future wages. If you can no longer work in the same capacity, you may also be eligible to recover damages for the loss of health insurance or retirement benefits from your employer. In many personal injury cases, personal property is also damaged as a result of the accident. You may be eligible to recover the cost of repair or replacement of these items. For example, in a car accident, you may be eligible to recover the cost of repairing your car. In addition to out-of-pocket costs you face, such as lost wages, you may also experience pain and mental anguish following your accident. Depending on the details of your case, you may be able to recover compensation for the pain and suffering you experienced as a result of someone else’s action. Contact the Law Offices of Anidjar & Levine for more information about the compensation you may be able to recover in your personal injury case. Determine liability: It may not always be clear who is to blame for your injuries. We will explore your legal options to ensure you recover damages from all the liable parties. Gather evidence: After your injury, you should be focused on healing, not gathering paperwork and filling out forms. We take care of this so that you can focus on your health. Meet deadlines: Florida law outlines specific deadlines, including a statute of limitations, for personal injury cases. We will ensure you meet all deadlines, protecting your right to recover damages. Negotiate with the insurance company: Sometimes, insurance companies will reject claims, ask for more proof, or try to offer less than you deserve. We handle the negotiation process, so you do not have to. Take your case to court: In some cases, we may need to take your claim to court. If this happens, we will present your case in court. Florida law gives most personal injury victims a total of four years to pursue a personal injury lawsuit in court. While this does not mean you cannot file a claim after this time, you will have little recourse should the insurance company refuse to pay your claim. In addition, some types of cases may require action in just a few weeks. For example, in a workman’s comp case, you must notify your employer within 30 days. Missing this deadline can bar you from recovering damages. If you have been injured, do not wait to seek legal help. 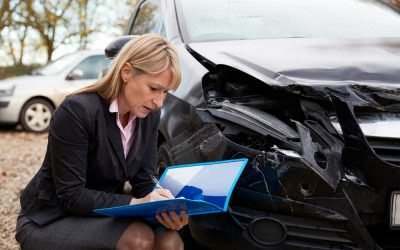 Our personal injury lawyers in Coconut Creek, FL can help. Call us today at 1-800-747-3733. A personal injury lawyer can help you navigate the personal injury claim process. Our understanding of the law and experience in the field can be an asset during this difficult time. You should not have to pay because someone else made a mistake. If you were injured, even if you are not sure who is to blame, we can help you explore your legal options. Contact the personal injury lawyers at the Law Offices of Anidjar & Levine for a free review of your case. You have nothing to lose. Call 1-800-747-3733 to speak to a member of our legal team.